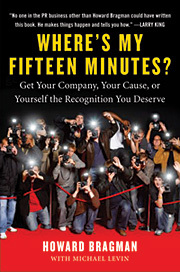 Media attention can boost careers, generate millions of dollars, and make dreams come true. It can also destroy reputations and derail carefully laid business plans. All publicity is not good publicity. No one knows this better than Howard Bragman. For more than thirty years he has helped prominent people—movie stars, business leaders, philanthropists their messages out, in good times and bad. He illustrates his lessons with juicy examples, from Frank Sinatra and Madonna to Coca-Cola and Monica Lewinsky. Whether you're trying to build a business, advance your career, or change the world, there's much to be learned from Bragman's insights and experience. 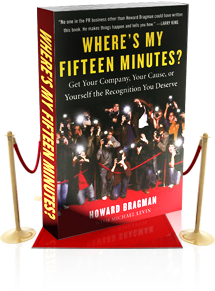 Howard Bragman would like to thank Leeza Gibbons for contributing the Foreword to this book, and Harvey Levin writing the Afterword. At the end of the seventh day, God realized he needed a publicist. So God made a couple of calls. Everybody recommended Howard Bragman. The rest is history."